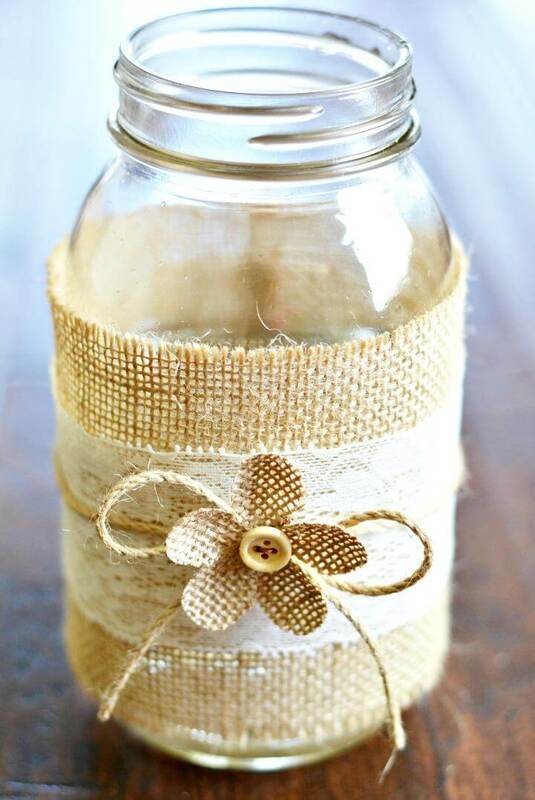 There is a lot of scope for handmade decor pieces at the weddings using your crafting skills. 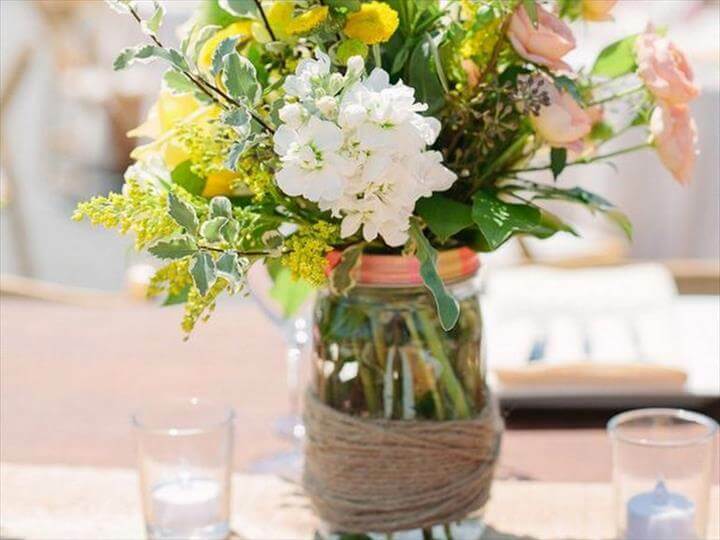 And if you connect to internet you would be surprised to see that the whole internet is just floating with the Mason jar decor ideas for the wedding day. 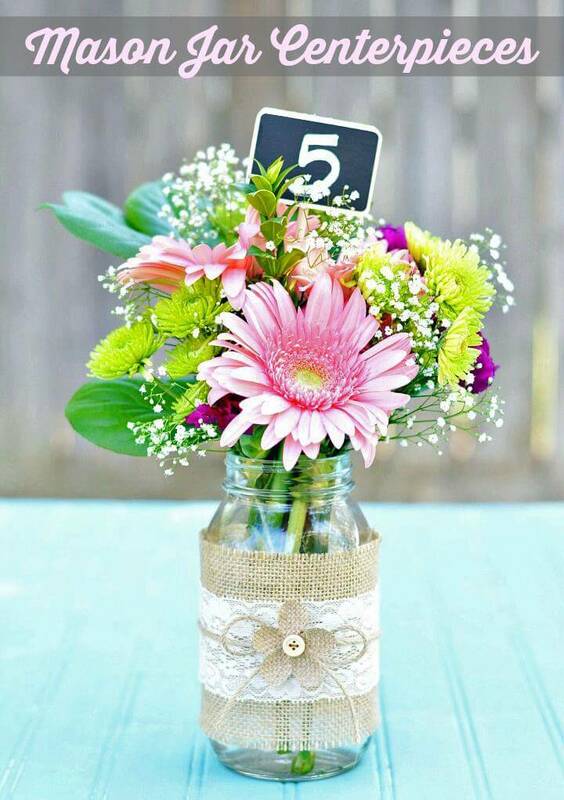 So we thought to pick up the best of them and put them together so that you can get to gaze them at one place. 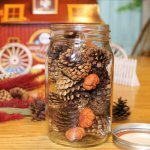 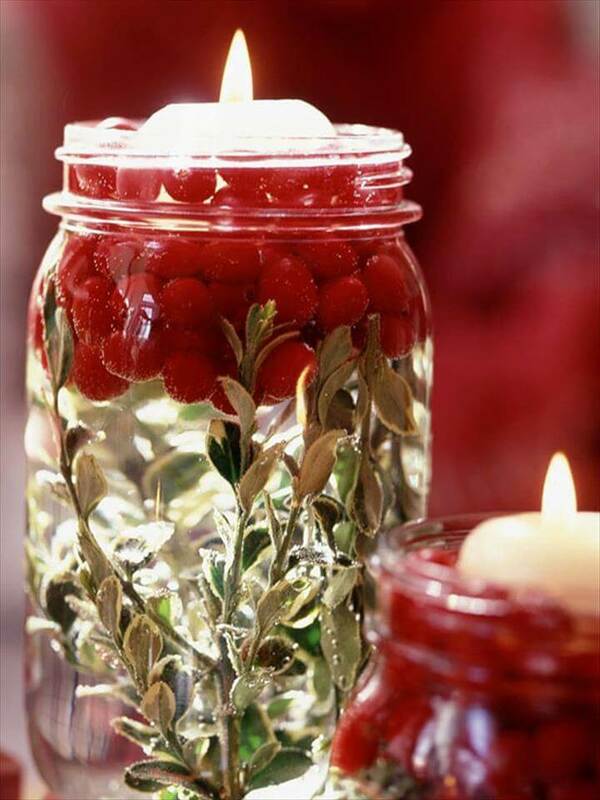 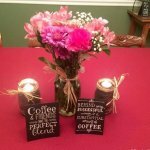 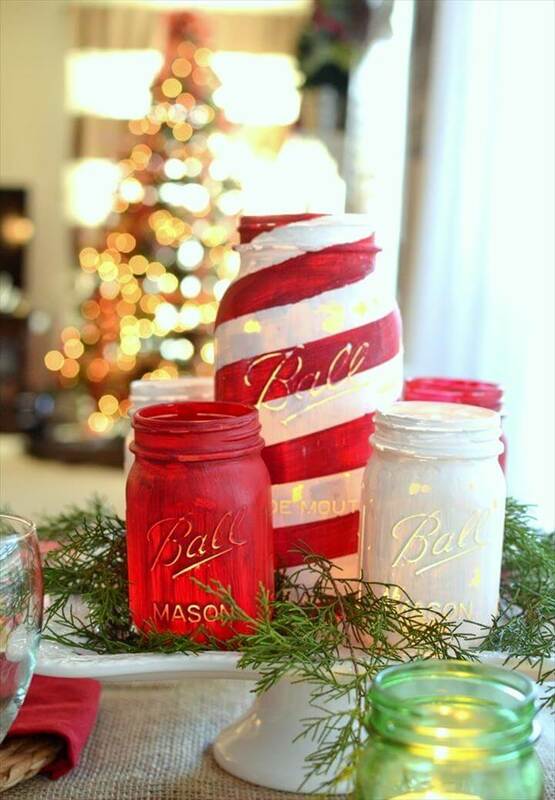 Without further adieu we present these DIY 15 Mason jar center piece ideas for the winter weddings. 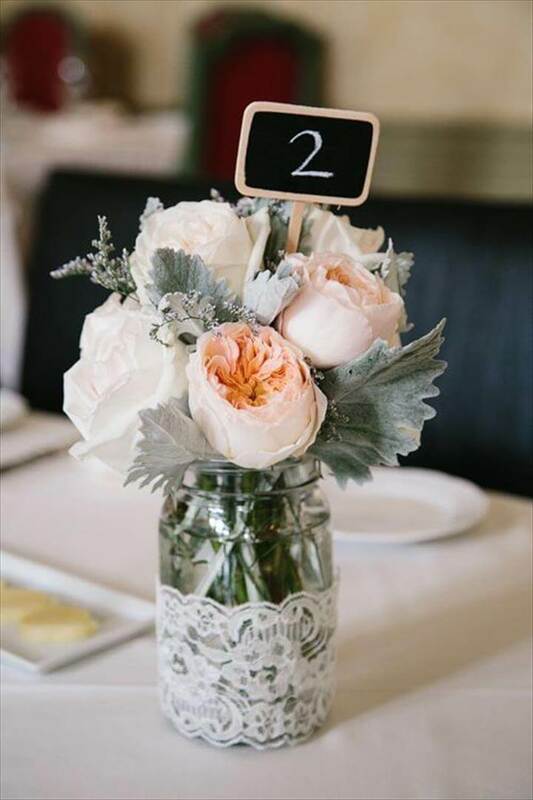 There is a difference of style and theme in the decor with respect to the season and people normally go for the rustic kind of decor when the big day in winter. 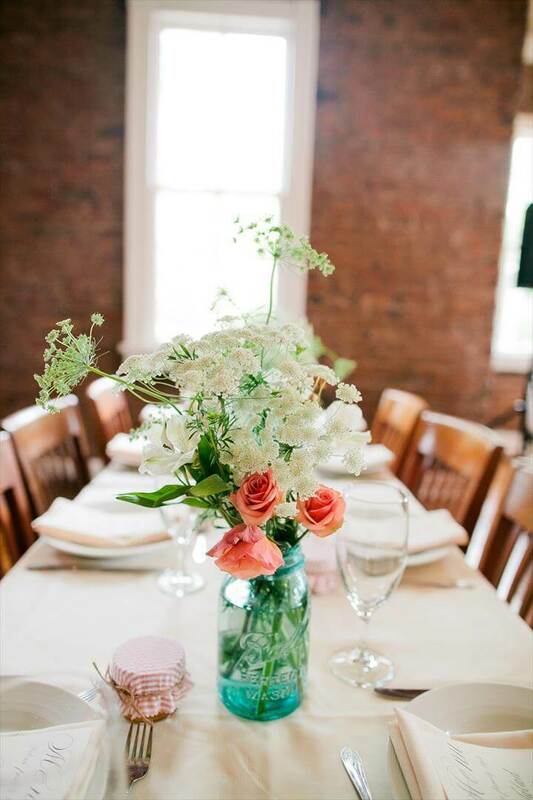 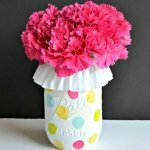 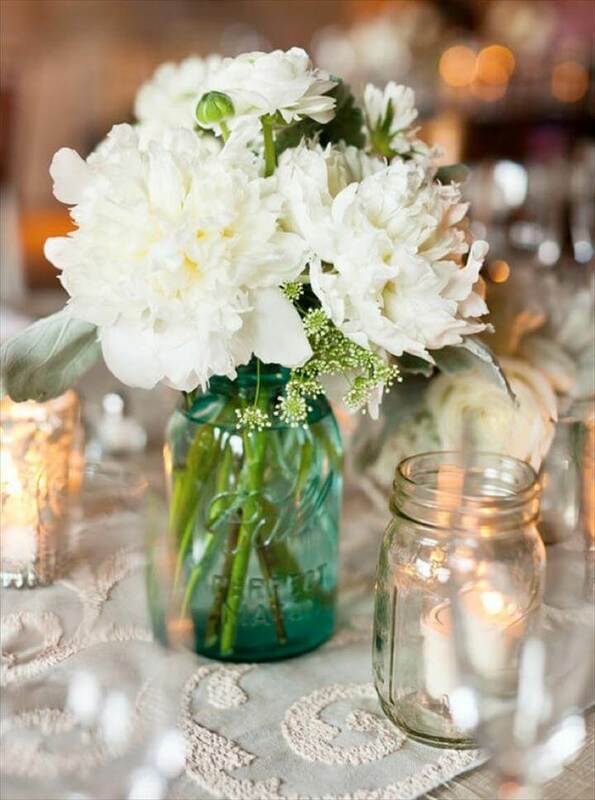 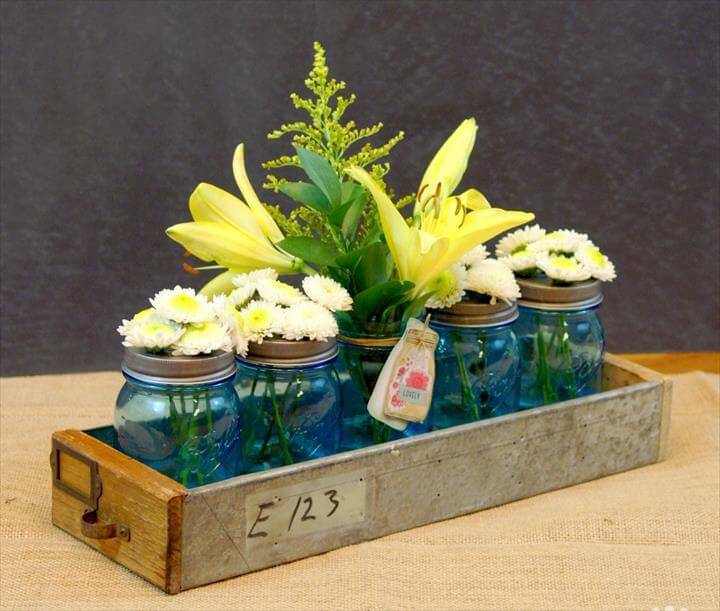 So the following Mason jar center piece ideas for the table decor of the wedding would guide you best in this regard. 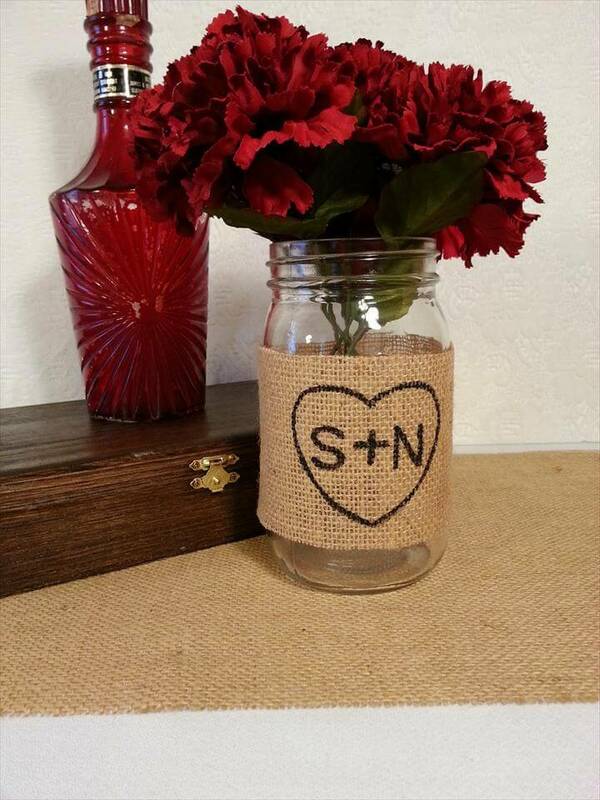 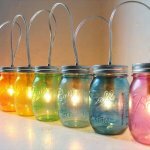 Just grab a bunch of the Mason jar at the cost of few pennies from a thrift store to g handy with them. 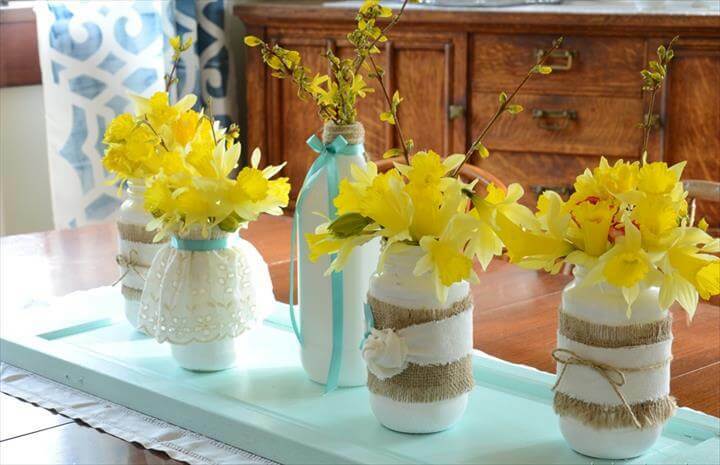 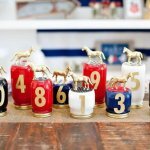 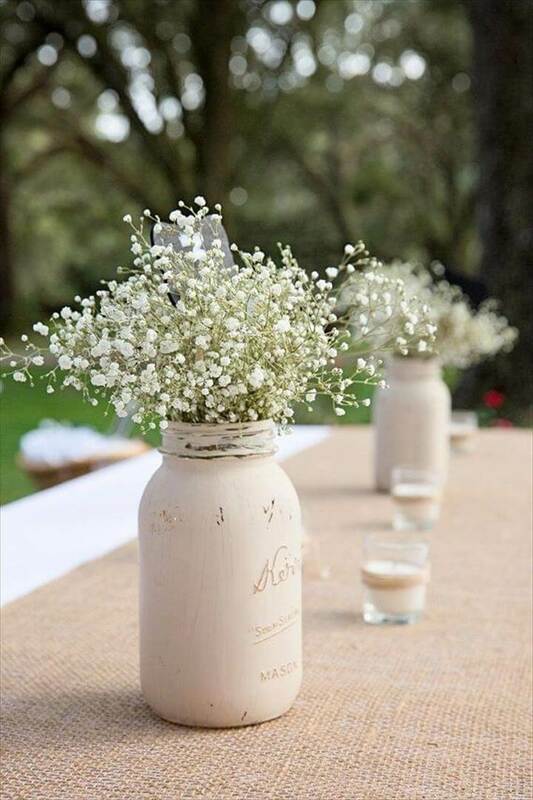 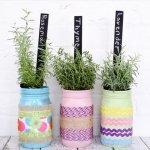 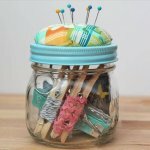 There is a verity of ways to craft the center pieces out of these DIY jars by painting, burlap covering, and lacing to make them look acute rustic. 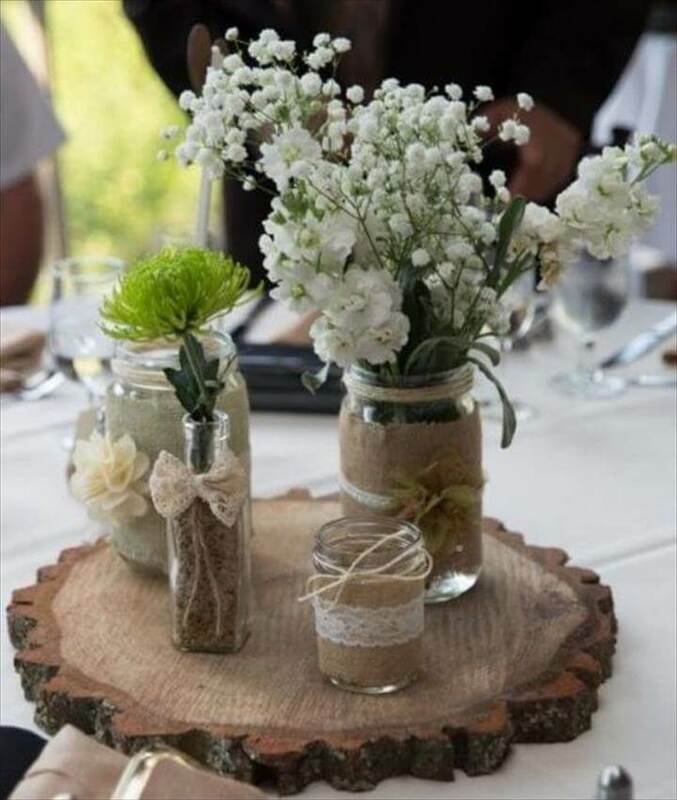 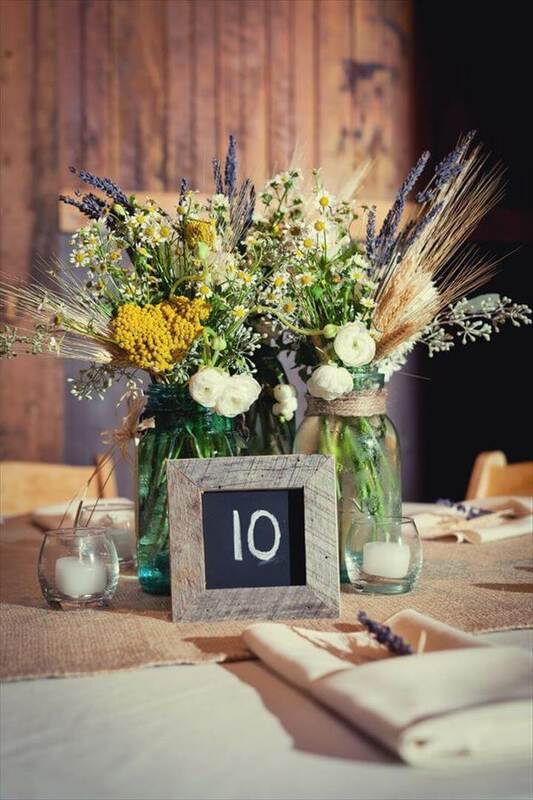 Holding the center pieces in the wooden boxes or wood pieces would add more to the rustic style of the decor. 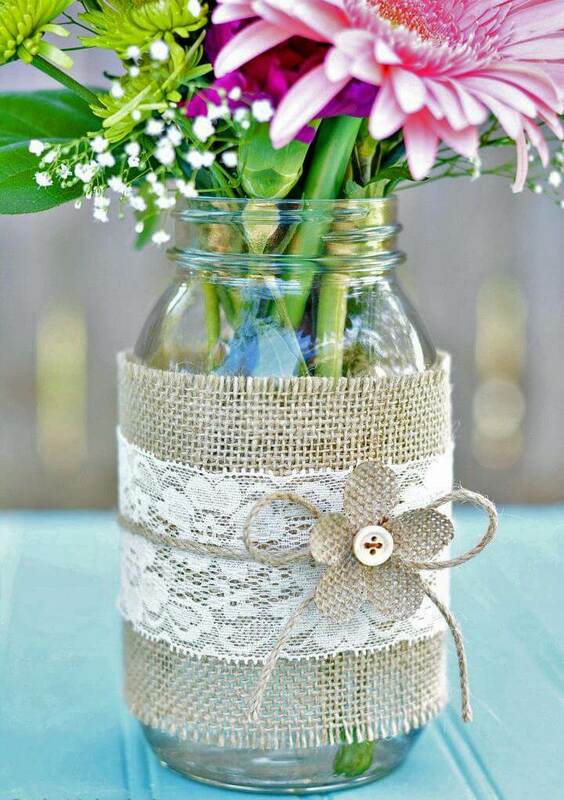 So do browse this small but valuable collection that we have brought forth for you.